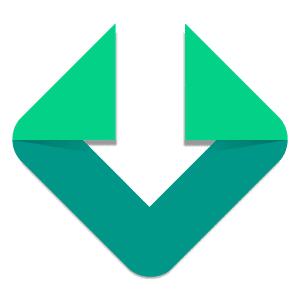 Download Accelerator Plus Premium is a powerful speed booster, an advanced download manager, a must-have tool for Android devices. â€“ Direct download to SD card (except on Android 4.4) â€“ AVAILABLE IN DAP EXCLUSIVELY!!! â€“ Totally FREE for installation with lots of powerful features. â€“ Auto-catch download links whenever you copy to clipboard or open a downloadable link. â€“ Pause and Resume feature with supported links. â€“ Smart error handling feature which helps prevent download threads interruption. â€“ Redesigned full-screen view for refreshed interface and design elements. â€“ Boost MUSIC and VIDEO download speed by splitting files into multi-parts and using multi-thread download with buffering size optimization. â€“ Quotas feature limits downloading to defined number of maximum speed. â€“ Download many MUSIC/VIDEO URLs simultaneously or add in a queue to download later. â€“ Download file from QR code scanning. â€“ Built-in web browser supports multiple tabs, history and bookmarks. â€“ Easier to download by automatically catching links of MUSIC/VIDEO from your favorite websites. â€“ Download manager sort files by name, size, type, order and categorize by types. â€“ User-friendly design: material design, interface customization and themes, rich context menu. â€“ Private mode: passcode, hidden files and file encryption.